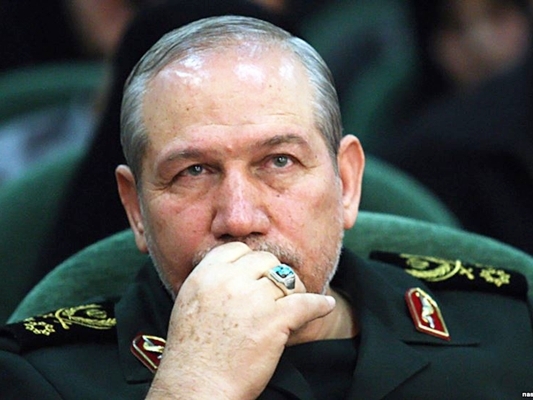 A top military aide to Iran’s Leader warned officials of the Iraqi Kurdistan Region, especially the Barzanis, against cooperation with Iran’s enemies and terrorists. “In the Iraqi Kurdistan region, [Jalal] Talabani enjoys good relations with Iran but the Barzanis are not so. We are concerned about the Iraqi Kurdistan region’s divergence from Iraq’s central government since they have some agreements with the Zionists,” top military aide to Iran’s Leader Major General Yahya Rahim Safavi said, addressing a forum in Tehran on Monday. “The Barzanis allow the Saudis’ consulate in Northern Iraq to supply weapons to Iranian counter-revolutionary forces and we warn them in this regard. The Barzanis should know that they owe to Iran,” he added. “The Iraqi Kurds are of Aryan origin, have Iranian roots and are the same as Iranians, but they should know that if they enter this political game, it will not be clear if Iran will help them anymore,” he warned. His remarks came as Iran has on different occasions helped the Iraqi Kurdistan region to overcome its problems either during Saddam Hussein’s era or during their anti-terrorism campaign against the ISIS. In April, Iraqi Kurdistan region’s Prime Minister Nechirvan Barzani appreciated the Iranian government and nation for assisting the Kurdish civilians to overcome ISIS threats and other security crises in Iraq. “Iran has played a very positive role during the ISIS attack on Iraq’s Kurdistan region,” Barzani said in a meeting with Iranian Ambassador to Baghdad Hassan Danayeefar in the city of Erbil, as reported by Fars. He reiterated that Iran has helped Iraq’s Kurdish people in the fight against ISIS Takfiri terrorists. The Iranian ambassador, for his part, renewed Iran’s continued support for Iraq in the anti-ISIS war.